BATON ROUGE, LA (WAFB) - Governor Bobby Jindal said repeatedly he was disappointed that lawmakers did not pass House Bill 707, the much debated Marriage and Conscience Act. So, the Governor took it upon himself. An executive order stands for now, where the failed bill could not. "It is not about discrimination. It is about the protection of our first amendment rights. It's about making sure that the state does not discriminate against individuals or businesses that have a traditional view of marriage," said Jindal. If the Governor was disappointed by lawmakers, then opponents of the original bill were baffled by what came next. "For the Governor to overrule legislature and to say 'No, I want that to happen anyway,' that is a pretty severe problem," said Matthew Patterson of Equality Louisiana. In issuing an executive order to sidestep lawmakers, Governor Jindal is doing something for which he has often criticized the White House. In November, President Barrack Obama issued an executive order granting amnesty to illegal immigrants after Congress was slow to act. At the time, Jindal called the move arrogant and accused the President of not listening to the people. "If the President wants to make the case that the law should be changed, he should go make the case to Congress and our people," Jindal stated in a November press release. Jindal addressed the parallel scenario to reporters. "My problem with the President's executive order is they violate the constitution. I'm issuing an executive order to uphold the constitution. 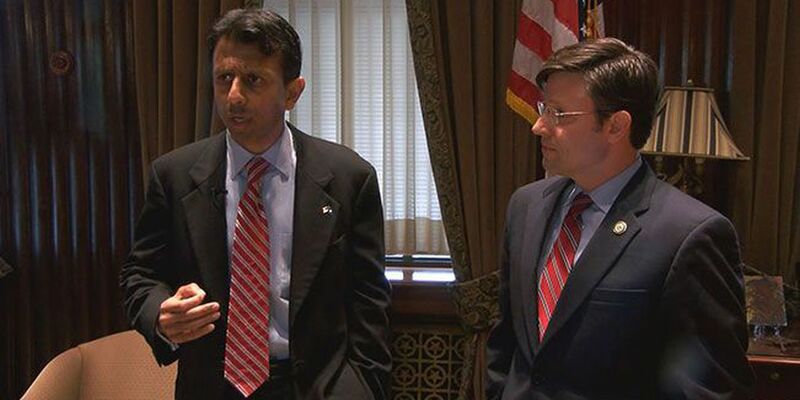 It's a reaffirmation of our first amendment religious rights," said Jindal. This time, it is groups like Equality Louisiana that feel they aren't being heard. The executive order will stand through next summer, unless the new governor rescinds it. That's what Equality Louisiana is hoping for now. "I hope the next governor listens a little bit more closely to the business community, the tourism sector and the citizens that came out in opposition of this bill and rescinds that order," said Patterson. Meanwhile, Jindal is hoping lawmakers will pass a permanent law next session. This order only applies to the executive branch.